47 other birds have this item in their bag or wishlist! 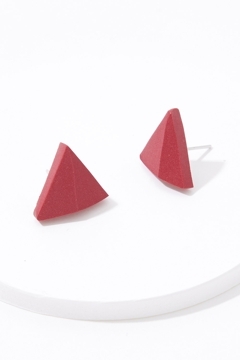 The Handmade Triangle Earrings from Greenwood Designs are the perfect way to add a pop of colour to any outfit. Cute earrings and a gorgeous colour. I do find them a bit big but this is probably because I am used to wearing small studs.